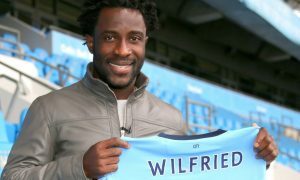 Despite a disastrous move to Manchester City and even more disastrous loan spell at Stoke City this season, 28-year-old Wilfried Bony still has his admirers, perhaps remembering the goal machine who lit up the Premier League during his time at Swansea City. The Ivorian has had precious few chances to impress for Mark Hughes’ Stoke side, but according to Foot Mercato he rejected interest from China and Ligue 1 side Marseille in the winter market in favour of a Premier League stay. Bony is determined to continue his career in England and three clubs are said to have eyes on him going into the summer market. Foot Mercato claims that Everton, who are likely to need a replacement for Romelu Lukaku, West Brom and West Ham are all keen on Bony, which is good news for the striker if he insists on staying in England. From overseas, both Lyon and Galatasaray are reported to want Bony, and they may be options if interest from English clubs fails to result in any concrete offers. Bony’s representatives told Foot Mercato directly that Lyon have yet to formally contact them. 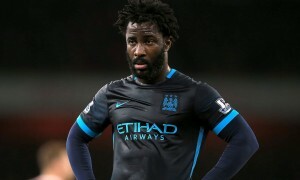 One thing is for sure, Bony will not be continuing at Manchester City and will need to find another club before next season, with City’s preference being to sell him rather than agree to another loan deal. For a limited time, you can get your hands on a Manchester City official shirt from just £30 for adults and £22.50 for children. Make sure you grab one!